Christ speaks very clearly: seek the Kingdom of God and the heavenly Father will give you whatever you need in this life. 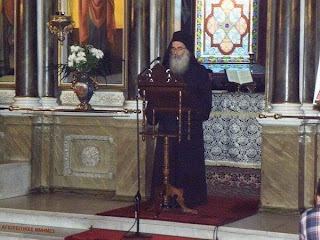 He speaks to His small flock who believe in God and feel Him to be their Father, because not all of us believe and the Father cares for all of us without Him minding those who do not have Him in their lives. His Providence embraces all people, all creation. The Evangelist tells us elsewhere that not one hair falls from our heads without Him knowing. The venerable John lived in the sixth century. 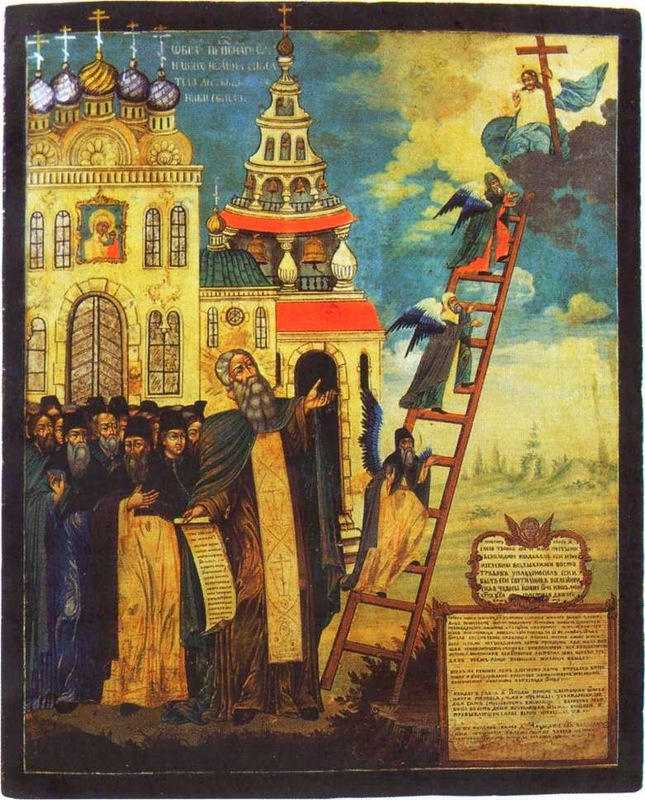 He is named "the Sinaite", but also Saint John "of the Ladder". 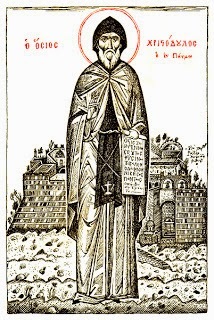 He received the common noun "Sinaite" from the Monastery of Sinai where he settled and where he served as an abbot. 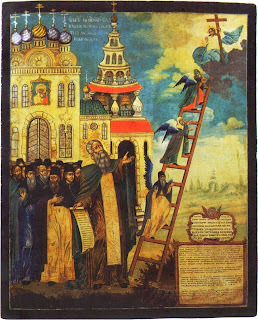 He is called "of the Ladder" because of the only book he wrote that bears the title Ladder. For it is a ladder that leads from the lower parts to the higher parts, from the earliest stages of the spiritual life to the highest and most perfect. 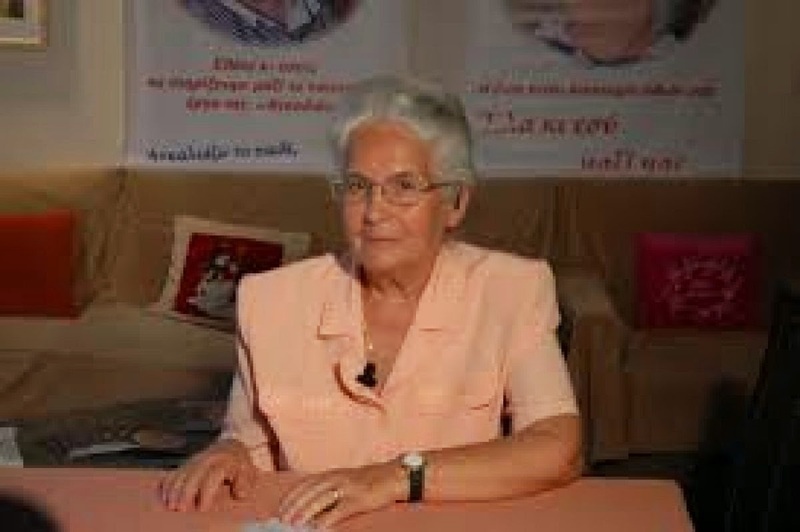 Seven minutes ago there left from our sacred church Mrs. E., a resident of Nafplio who is an English teacher and mother of three young children. 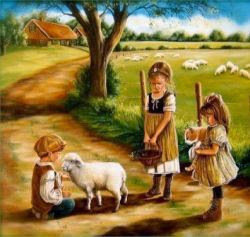 The moral condition of a society is estimated on the values and the virtues which it accepts, believes in and practices. These values and virtues set the way of life of the people of which a society is built on. Every society embraces values and virtues which originate either from religion, or philosophical institutions, or political systems. 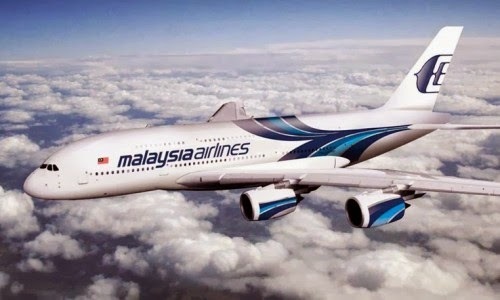 The fact is that wherever they might originate from, there is no society without these precious treasures. A) In recent years the issue of the end of the world has received much publicity. Online and print media, both secular and religious, have devoted thousands of pages to "informing the public". Alongside these things films have also aired with breathtaking visuals and analogous content, having as a subject the year "2012". There was so much interest regarding this issue and so many questions were posed to scientists that the National Aeronautics and Space Administration (NASA) in America was forced to open a relevant website and give answers refuting the rumors about the destruction of the universe. 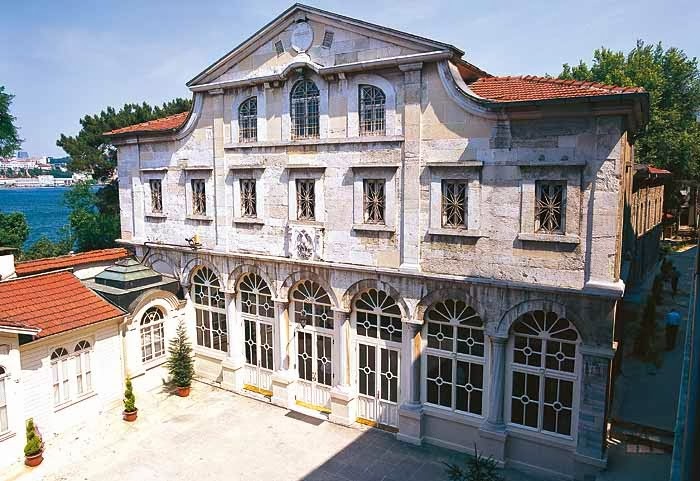 After two months I returned to Mount Athos and to Elder Paisios, with three other friends. Next to me sat a friend who would drink hashish. He even had a "tree" in his house. 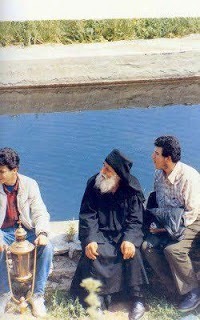 Elder Iakovos Tsalikes (1991) once confessed an old woman and he put a canon on her to not commune for three years. "Why don't you commune?" asked the priest of her parish. "I love you because you are you." Have you ever thought about the message this sentence conveys? I love you, and I am able to love you because you aren't me. This is the first interpretation. Essentially I do not love you, if I want you to be like me. The mayor of Yakutsk claims he has a proof a small island off the coast of Alaska had been given to the Russian Orthodox Church and it still has the rights to the territory. Mayor Aysen Nikolayev and other officials from Russia’s Far Eastern Federal District have petitioned President Vladimir Putin, the heads of both chambers of the Russian Parliament, and the Russian Foreign Minister requesting the return of Spruce Island to the church. 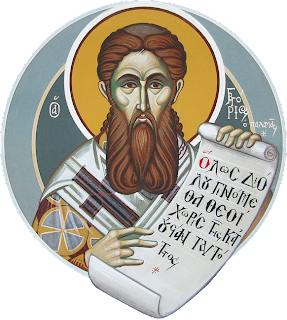 Saint Gregory Palamas wrote something amazing; that a person’s soul possesses essence and energy. Now, you shouldn’t let the terminology confuse you. “Energy” is whatever we can see expressed: emotions and feelings are energies of the essence, which we cannot approach. “Energy” is all those things that express our behavior. Essence and energy. On March 8th, which is International Women's Day in the United Nations, Presvytera Barbara Metallinos spoke about the role of women and especially the role of the wife of a priest in contemporary society. 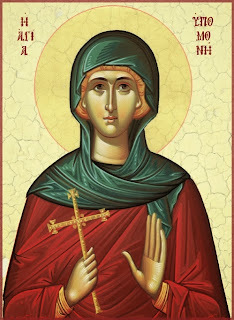 Presvytera Barbara, a theologian and scholar in her own right, is the wife of the distinguished scholar Protopresbyter Fr. 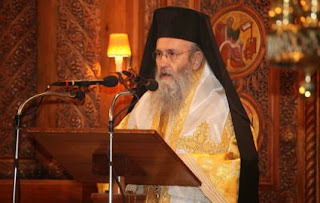 George Metallinos, and is President of the Association of the Unborn Child "The Embrace" in Athens. For half a century she has stood by the side of her husband and has much wise advice for women today who decide to become heroic women as wives of priests. 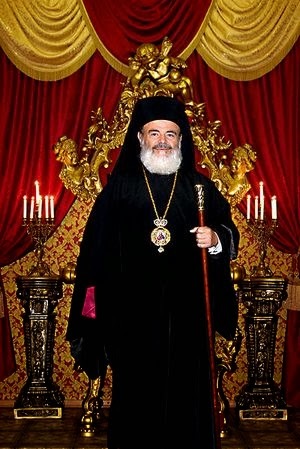 Today's Orthodox Church is the true heir of Romiosini, as long as and in so far as it remains one indivisible and transnational communion and constitutes a living presence in the ambient reality of the contemporary world. 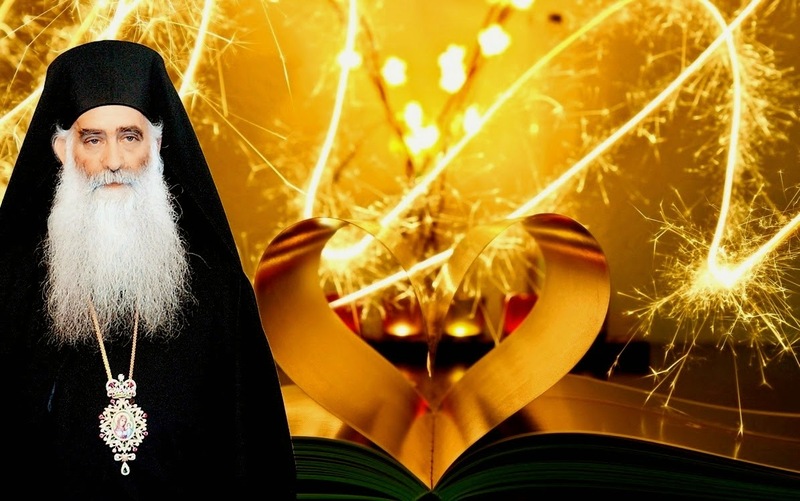 It's been 176 years since we celebrated by decree for the first time officially on March 25th the revolution of 1821 in the then Metropolitan Cathedral of Athens, Saint Irene, located between the streets Aiolou and Athinas. Theodoros Kolokotronis was buried in the same church in 1843. Saint John of Damascus says that Christ is the "only thing new under the sun". Let us examine two points about this. First, Christ is the only new person in history after the creation of the world. That is, God created the noetic spirits, the angels, then He created the sensible world and lastly man who was the summary of all creation. Since then everything repeats, nothing else is new. The "only thing new under the sun" is the God-man Christ, since the divine nature was united with human nature and the hypostasis of the human nature was the Logos, the Second Person of the Holy Trinity. The 29th of May in 1453 was a fateful day for the entire Nation, for the entire Romiosini. On that day was heard within the hapless City, "the City is taken". 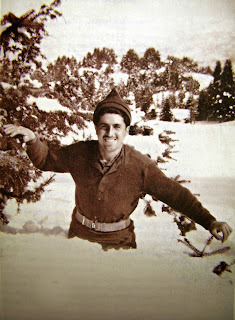 Since then another period of the Church began, as well as for all of Romiosini. But this situation did not leave the Church immobile. It believed that what could keep the Nation standing and filled with hopes was education. Thus the Church in the person of the First-Throne Church of Constantinople, our Ecumenical Patriarchate, undertook this herculean task. "For we do not have a high priest who is unable to sympathize with our infirmities, but we have one who has been tempted in every way just as we are — yet He did not sin" (Heb. 4:15). 1. 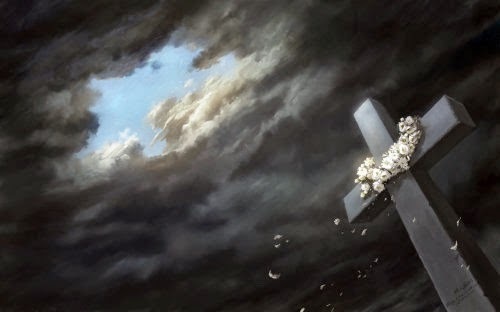 In my sermon today, my Christian brethren, I will speak to you about the Honorable Cross, the sacred symbol of our faith. Everything in our Church operates through the Cross. When making the sign of the Cross we declare that we believe in Jesus Christ and belong to His Holy Church. When the pagan kings and emperors asked Christians to tell them what they believed, they did their Cross and proclaimed their faith this way. 1. 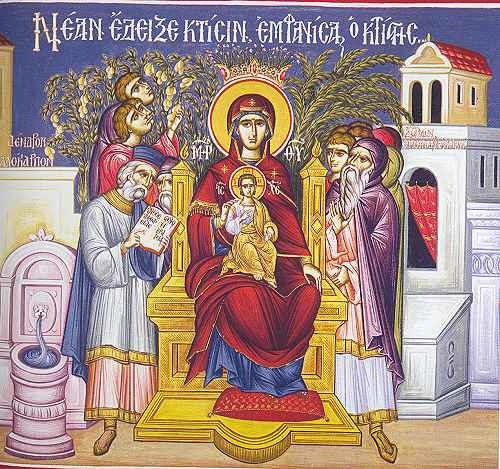 All baptized Orthodox Christians are, my beloved, one sacred and holy family, called the Church. The Church is ONE and not many. 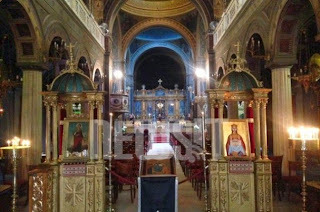 And this One Church is the Orthodox. The Church is a sacred body, that has as its head Jesus Christ. And because the head, our Christ, is holy, us Christians, the members of the Church, must strive to become saints. 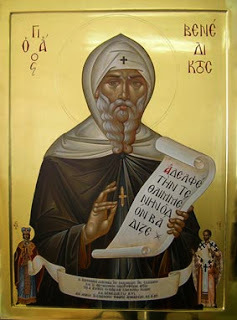 "Father, I cannot read Compline or the Six Psalms, nor can I follow the Divine Liturgy. The only thing I can do is to say the 'Lord Jesus Christ have mercy on me'. Will I be saved?" The soul must be constantly ready and alert and always in contact with the spiritual headquarters, that is, God. Only then it will feel secure, full of hope and joy. 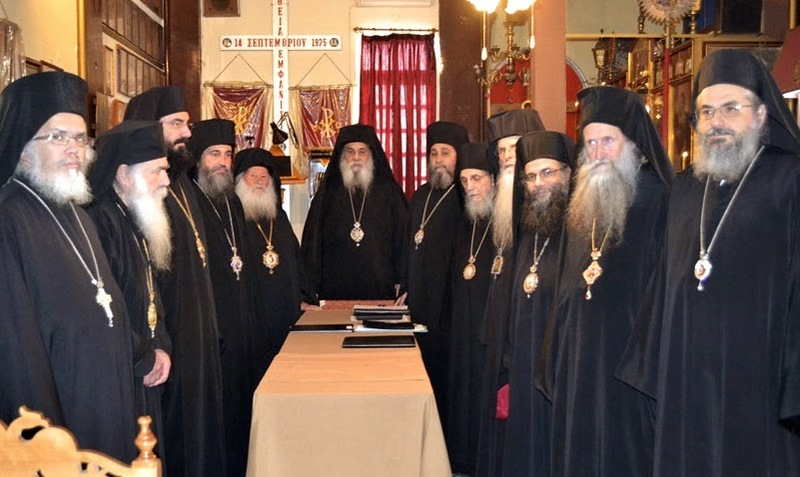 In an effort to become a united voice against the "heresy" of ecumenism which they associate with the united canonical ancient patriarchal Churches, the two schismatic Old Calendarist groups known as the Holy Synod of Resistance and the Genuine Orthodox Church of Greece have announced at the completion of their dialogue yesterday that they are uniting. The long term goal is to unite all the Old Calendarist groups not in communion with the "official" Churches to enter a new phase of a common witness of "genuine" Orthodoxy, since the Old Calendarist movement has been known to splinter even among themselves into various self-contained groups. To express their common goal, they will soon issue a joint statement on ecclesiology and a condemnation of ecumenism. 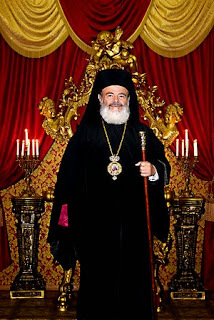 They will officially enter into liturgical communion this Sunday, which is the Sunday of the Veneration of the Holy Cross, in the Monastery of St. Nicholas in Paiania, presided over by Archbishop Kallinikos of Athens and All-Greece, who is the Archbishop of the schismatic Genuine Orthodox Church of Greece. 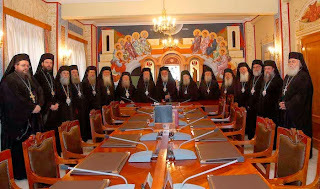 The Holy Synod of the Church of Greece in a statement issued today considers the Orthodox faith to be incompatible with membership in Freemasonry, making clear that it condemns Freemasonry and noting that there never was one its clergymen part of a Masonic Lodge. Last week after the baffling disappearance of the Malaysia Airlines flight with almost 240 passengers, an alleged prophecy started going viral in Greek attributed to a monk named Daniel who lived in Sinai in the 17th century. Over the past few days it is being translated and distributed in other languages. As far as my opinion is concerned, this is clearly a hoax. 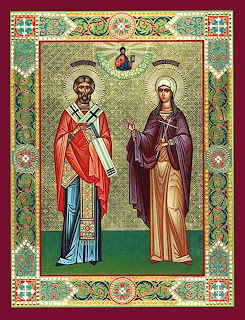 Saints Chrysanthos and Daria lived in the third century. 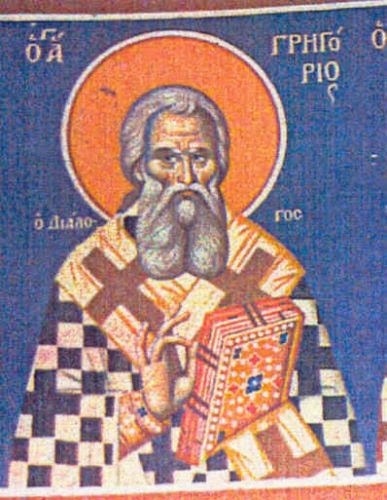 Saint Chrysanthos was the son of the pagan ruler Polemon. However, he was catechized in the faith of Christ and baptized by a certain Bishop. His father, who was soon informed, tried in different ways to dissuade him, but to no avail. Then the devil whom he worshiped, since idols are energized by demons, advised him to do for his son what he did for Adam. In other words, he dragged him towards disobedience and took him out of Paradise through Eve. 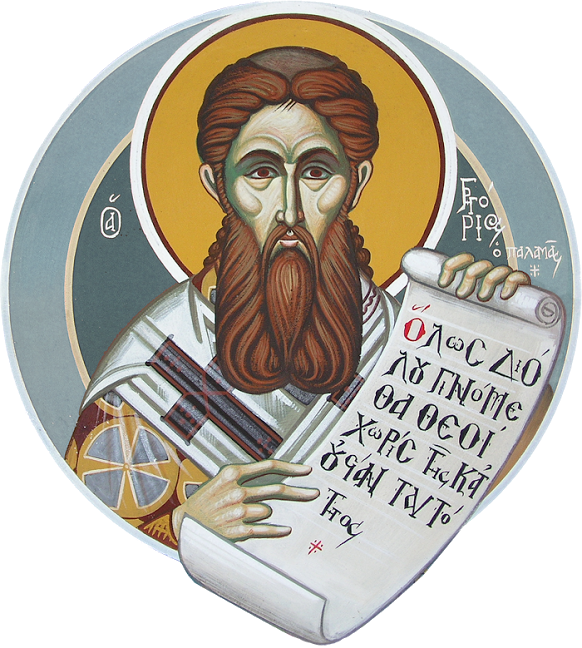 Saint Cyril was born in Jerusalem in either 313 or 315 A.D. and is one of the brightest figures among the Fathers and Teachers of the Church in the fourth century. 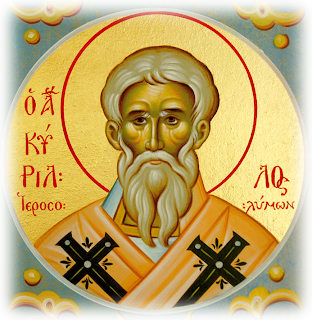 As a Deacon and Presbyter in Jerusalem he was distinguished for the breadth of his theological knowledge and his divine zeal for the spread of the Gospel. In 349 or 350 he succeeded the deceased Bishop Maximus II of Jerusalem. He was consecrated as Bishop by Metropolitan Acacius of Caesarea, to which belonged the Diocese of Jerusalem. 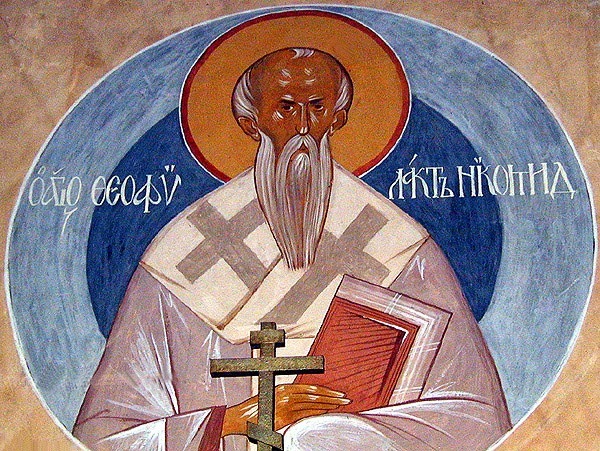 However, because Acacius of Caesarea was an Arian, and also because Saint Cyril avoided using the term "homoousios" ("consubstantial"), as established by the First Ecumenical Synod, this created the suspicion that he was an Arian. But this suspicion was overturned by the Second Ecumenical Synod, which calls him a great fighter against Arianism. He struggles against the heresy of the Arians caused him to be exiled three times and to live thirteen entire years in exile. The last years of his life he spent in his office and alongside his anti-heretical struggles he organized the pastoral and catechetical work of the Diocese. He left us works which, according to expert opinion, are "the most precious possessions of Christian literature". The most important of these are his Catechism. These are twenty-four lectures that were delivered in the Basilica of the Resurrection in Jerusalem and addressed to both the newly-illumined and the illumined. The first of these is titled "Pre-Catechism" and is somewhat of a preface or introduction to the catechesis that follows. In 387 he delivered his holy soul "into the hands of the living God". "Religious People Are Dangerous ... God Protect Us From Them"
Love does not fit into the molds of logic. Love is more than logic. So is the love of God. The love of God is beyond the reason of people. For this reason we cannot judge with reasonable criteria people who love God. For this reason the saints moved according to a logic of their own. They had another logic, not the logic of people. Because their logic was the logic of love. And the Church does not teach us to be good people, no, since this is natural, but if we do not become good people what do we become? This is kindergarten stuff. The Church teaches us to love Christ, that is, to love the person of the Lord Jesus Christ. 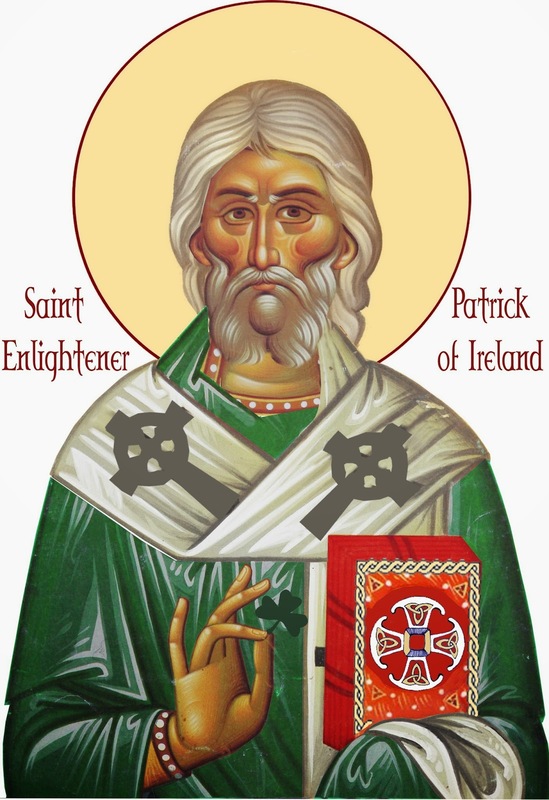 Saint Patrick’s Day is the only national holiday that is regularly and continuously celebrated beyond the boundaries of the nation from which it originated. 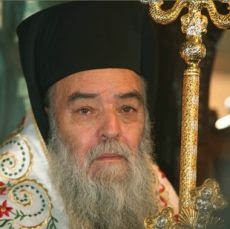 So extraordinary was the life and ministry of this man that he has become an inspiration to people all over the world. Commemoration of the Terrible Earthquake of 790 A.D.
Only one major natural disaster struck Constantinople in the period ca. 750-850 A.D. This was the earthquake of February 9, 790 which forced people to sleep outdoors in tents and prompted the imperial family to vacate the imperial palace for a time, but which apparently spared the city the high levels of death and physical destruction caused by earthquakes in earlier decades. 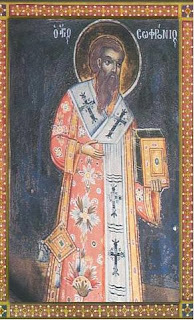 Today's Sunday, the Second Sunday of Great Lent, our Church celebrates the memory of Saint Gregory Palamas, Archbishop of Thessaloniki, who lived in the fourteenth century and is a major patristic figure, whose teachings are of great importance for the Orthodox Church. 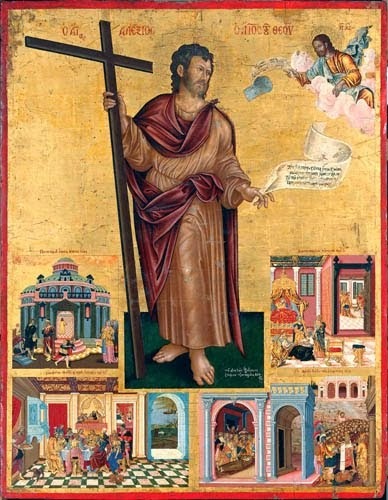 The venerable Christodoulos, known as John in the world, was born in 1020 in Nicaea of Bithynia from pious parents, Theodore and Anna. John loved to study and he progressed much in letters. 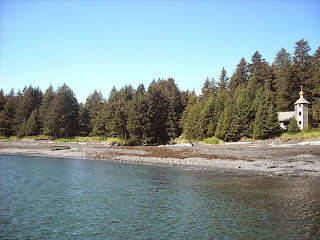 He became a monk and at his tonsure he took the name Christodoulos. With the help of God and the assistance of Emperor Alexios Komnenos (1081-1118), he founded the Sacred Monastery of Saint John the Theologian in Patmos, where he lived as an ascetic for many years. Frequent raids, however, by the Arabs forced him to abandon it and go to Evia. He lived the last seven or eight years far from his Monastery and he reposed in peace in 1101. 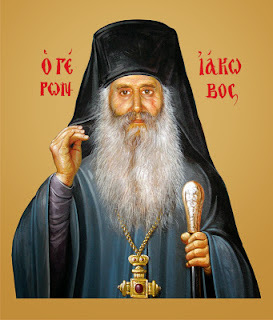 Later his sacred relic was moved to Patmos, where it remains until today in the Monastery he built and in which he tasted the most sweet fruits of Orthodox spiritual life. 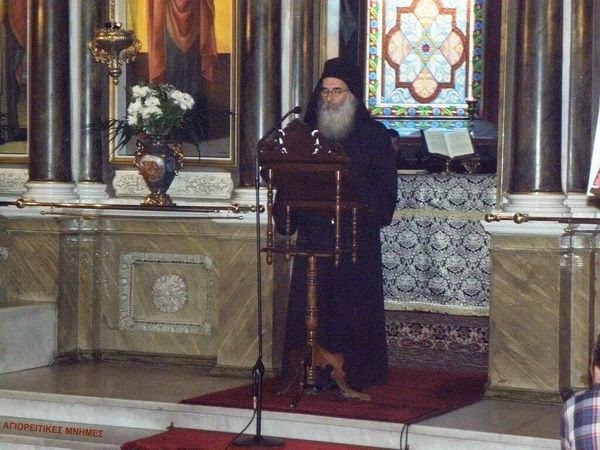 A homily of His Eminence Metropolitan Hierotheos of Nafpaktos and Agiou Vlasiou, delivered at the Synodical Divine Liturgy, on the Sunday of Orthodoxy, 21 February 2010, in the Sacred Church of Saint Dionysius the Areopagite in Athens. 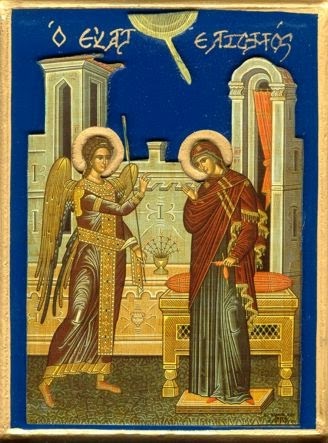 Today, on the anniversary of the restoration of the sacred icons, we celebrate the feast of Orthodoxy and in this way is shown the connection between the sacred icons with the Church and, of course, with Orthodoxy. In one of the hymns we chanted today in the service of Matins, the glory of the Church is expressed: "Today has been manifested as a day of festivity and joyfulness. The bright light of the most true dogmas shines as lightning. And Christ's Church is glowing, for She is once again adorned with the replacement and installation now of holy icons and depictions, and the light that they radiate. And a oneness of mind among the believers has God bestowed." 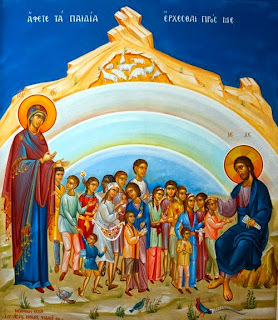 Church, dogmas and icons are in the light of the glory of God and are the revelation of the beauty of Orthodoxy. No monk [Christian] became holy without ascetic exercises. No one can ascend to spirituality without exercising himself. These things must be done. Ascetic exercises are such things as prostrations, vigils and so on, but done without force. All are done with joy. What is important is not the prostrations we will make or the prayers, but the act of self-giving, the passionate love for Christ and for spiritual things. There are many people who do these things, not for God, but for the sake of exercise, in order to reap physical benefit. But spiritual people do them in order to reap spiritual benefit; they do them for God. At the same time, however, the body is greatly benefited and doesn’t fall ill. Many good things flow from them. From ancient times, the mystery of man engaged philosophers who, as expected, studied man in relation to the He who Is, God. The questions of what man is, what the body is and what motivates the body are questions of utmost significance and importance. 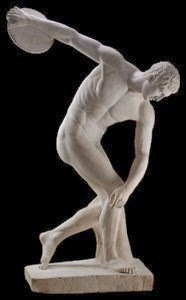 According to one interpretation, in Greek the word "body" (sōma) derives from the word sēma meaning, “sign”. Among many other meanings, the word sēma means a pointer showing a grave. Therefore, in this sense, the word sōma refers to ancient Greek philosophy, which viewed the body as a sēma -­‐‑ the grave of the soul. The venerable Benedict was born in 480 A.D. of rich and pious parents in the province of Nursia in Umbria in the Apennine mountains of Italy. 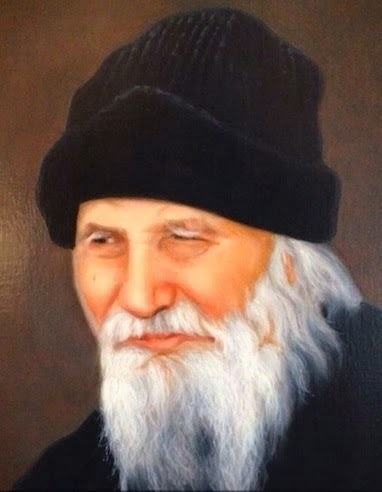 His name in Latin means "blessed" and he is considered the founder of Orthodox monasticism in the West. He drafted the charter of Western Monasticism on the basis of the works of Basil the Great, the venerable Pachomios and John Cassian the Roman. 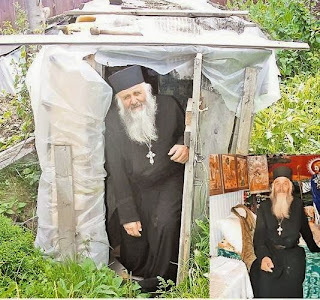 At the age of twenty he became a monk and lived in asceticism in a cave at an altitude of 600 meters, for three years. In the recent gathering of Hierarchs of the Church of Greece (02/21/2013), His Eminence Metropolitan Paul of Sisanion and Siatista suggested the theme "Concerns In Catechism" with knowledge and arguments, in a lovely and nice way. Catechism is an important work of the Church that takes place prior to Baptism as well as after. It is an initiation into the life of the Church and pursues the development of the spiritual life, so that a person reaches "unity in the faith and in the knowledge of the Son of God, unto a perfect man, to the measure of the stature of the fullness of Christ" (Eph. 4:13), ie deification. The work of Catechism deals with all ages, young and old, men and women, the wise and the illiterate. Essentially Catechism is the pastoring of the Church. Father Joel, from Preutesti in Suceava County of Romania, is a true example of humility for those around him. Though he is the founder of three churches, he himself lives in an extremely poor hut. 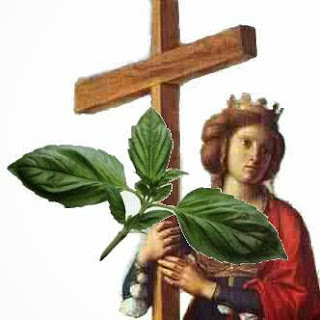 Saint Ypomoni, known in the world as Helen Dragas, came from a royal family. She was the daughter of Constantine Dragas, who was one of the many rulers-heirs of the Serbian King Stefan Dusan. At around 19 she became the wife of Manuel II Palaiologos (1390), and was called: "Helen, in Christ God Augusta and Empress of the Romans, Palaiologos". Having been nurtured in the Orthodox faith, this faith supported her during the many and great difficulties encountered in her life. She had many gifts, great virtues and immense psychic strength, so she supported her husband during the difficult moments of the 35 years they lived together. God gave them eight children: six boys and two girls. Two of the boys ascended the imperial throne: John the VIII and Constantine XI (the last and legendary emperor). Saint Gregory the Dialogist was born and lived in Rome during the reign of Emperor Justinian. 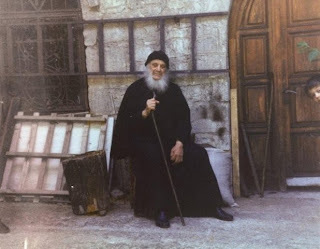 He followed the monastic life and proved to be a true ascetic and "merciful to the fullest extent". 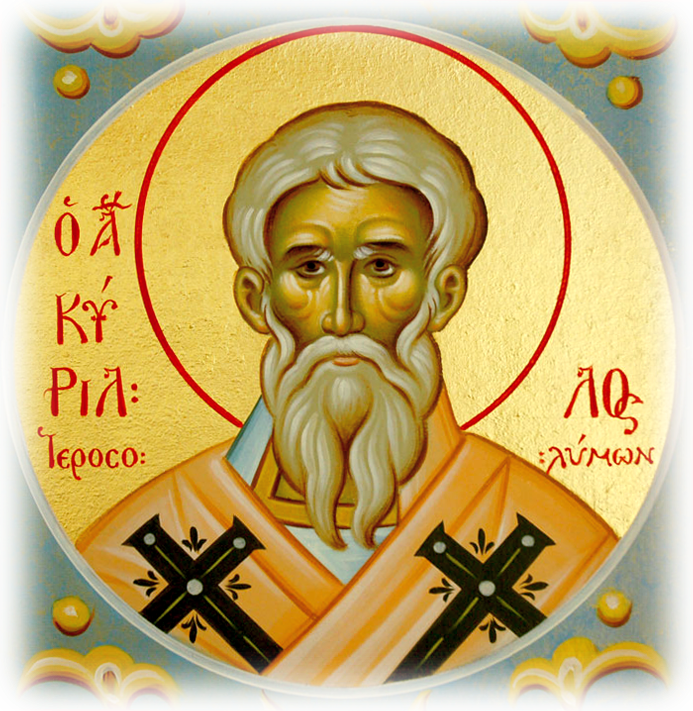 He was made worthy to become Bishop and Pope of Rome, when Rome was still Orthodox. He is named "Dialogist" because most of his works were written like a dialogue, with questions and a response. 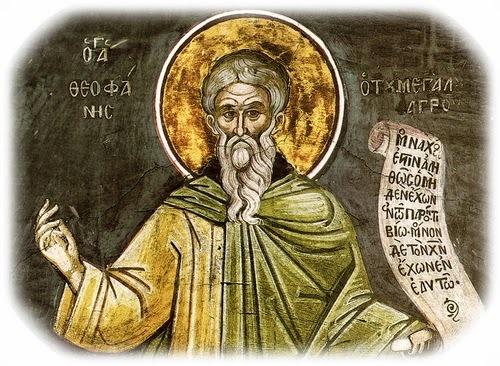 The venerable Theophanes was born in 760 A.D. He was a chronographer, as well as a Confessor of the Orthodox faith. Fatherless from a young age, he was raised by his mother Theodote, who took care to educate him and marry him off at a young age with a virtuous and rich girl. He and his wife agreed however to both follow the monastic life. 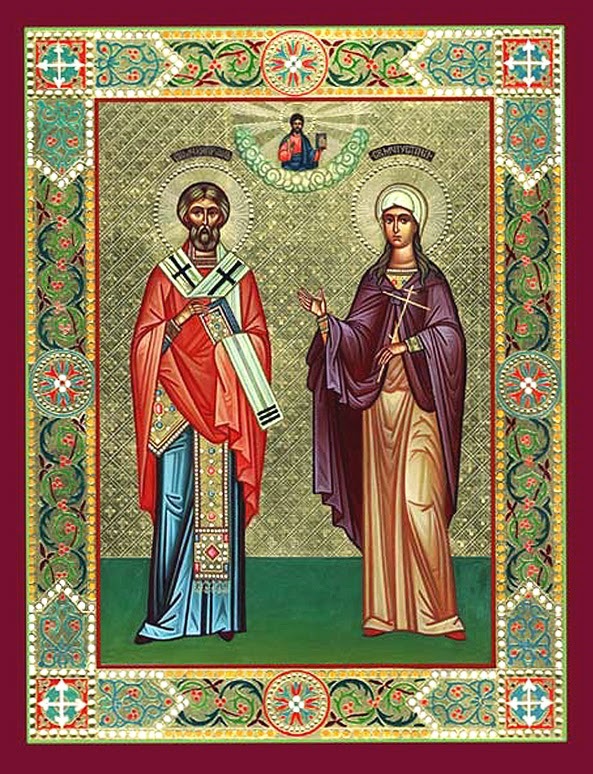 He dwelled in a men's monastery near Mount Sigriane, where he later became Abbot, and she settled in a female monastery, and from Megalo she was named Irene. 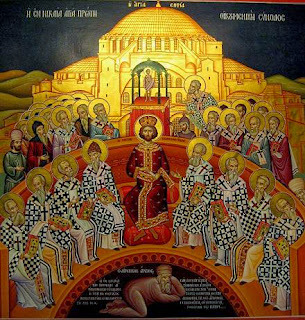 The Ecumenical Throne is and is called Sacrosanct because it has been established by decisions of the Ecumenical Synods, meeting either in the capital of the Roman Empire, New Rome, or in a region of it, and has also been sanctified by great holy Patriarchal figures. And of course, the Ecumenical Patriarch has a coordinating role, undertakes serious initiatives when warranted by the historical and ecclesiastical circumstances in some areas, and calls and presides in all Ecumenical and Pan-Orthodox Synods. 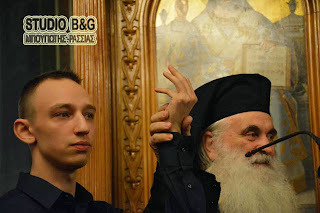 There are known modern episodes of beneficial intervention by the Ecumenical Patriarchate in difficult religious affairs that have been successful, precisely because it treats them soberly and with timeless knowledge and experience. The season of Holy and Great Lent we are experiencing is a time of repentance, fasting, prayer and spiritual struggles. It is an arena of the virtues for anyone who wants to approach it freely, to compete spiritually, without anyone forcing them. “The arena of the virtues has opened; those who desire to compete may enter, girding themselves with the good struggle of fasting”. Fasting, when accompanied by prayer, is the most powerful weapon against the devil, the enemy of human salvation, ("this kind does not come out except by prayer and fasting"), but also a source of heavenly gifts, ("through fasting, vigils and prayer we receive heavenly gifts"). 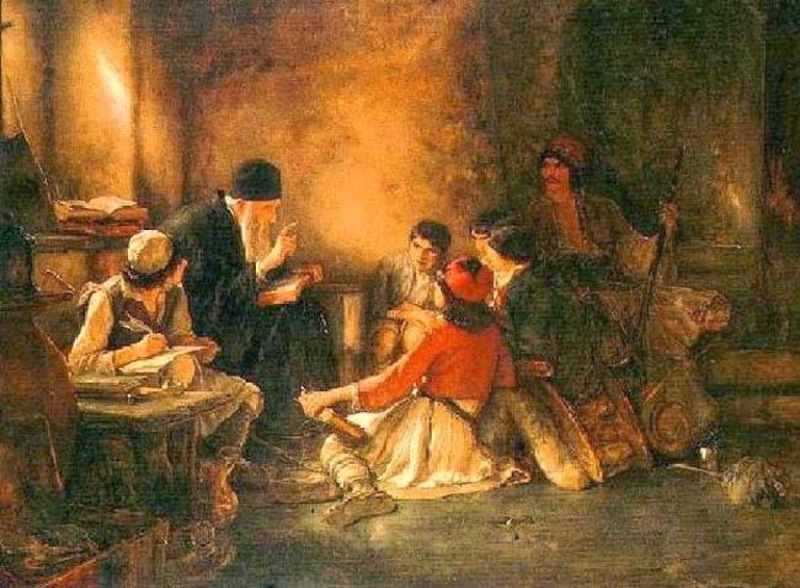 The venerable George lived in the tenth century. According to the Parisian Codex he flourished in the years of Emperor John I Tzimiskes (969-976), but according to the Vienna Codex it was during Constantine VII (913-959) and Romanos Porphyrogenitos (959–963). His memory is also referred to in the Great Lavra Codex. Once at the Monastery of the Theotokos Full of Grace, on the primary day of the feast, we were sitting at the main dining table, both the Fathers and the brothers, as well as many lay people. Among the laity was a certain child, who was in elementary school if I remember correctly. "Elder, I wanted to ask a question," asked the young student. "Let me hear you, my child," answered the Elder [Epiphanios Theodoropoulos], without despising his age. "The Church arranged that during the fasts we can eat certain foods and others we cannot. Why, therefore, did they set it up this way? Why didn't they schedule it the opposite way, so that when we fast we can eat meat?" The established feast of Orthodoxy in the beginning of Great Lent, in which the theology of icons and the theology of asceticism are connected, while also partaking in the mysteries of the Cross and Resurrection of Christ, shows the exterior brilliance of the Orthodox Church, but especially and above all Her depth, for which "you must be like a swimmer from Delos so that you do not drown". Below we will highlight four points, in which we will show the place of the Orthodox icon, as well as its difference with other Christian traditions. What is the Difference Between Orthodox Christians and Heretics? Now from the standpoint of tradition, modern Orthodoxy and traditional Orthodoxy are not the same. Of course, they share something in common - the Bible - but that is only part of tradition. 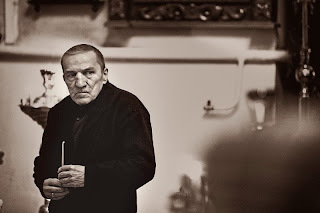 The question remains: what is the essence of tradition? What is the core of tradition? You will find the answer to this question if you approach it as you would approach any problem in an exact science. "The annual rendering of thanks due unto God, on which day we received the Church of God, together with the delivery of the doctrines of piety and the overthrow of the teachings of wickedness." FESTIVE AND JOYOUS indeed is the Sunday of Orthodoxy, as we celebrate this Jubilee year of the 2000th year from the Birth of Jesus Christ, a celebration which adorns the Church with a yet more radiant splendour. We recall struggles and agonies, passions and hatred, exiles and persecutions, aspirations and degradations, magnanimity and pettiness -that amalgam of human actions, which passing through the "scheming of evildoers" (Ps. 63:3) has shaped the historic face of the Church. God's saints giving witness to their faith," conquered kingdoms, enforced justice, received promises & destitute, afflicted, ill-treated & others suffered mocking and scourging, and even chains and imprisonment & wandering over deserts and mountains, and in dens and caves of the earth" according to St Paul's characteristic description in his epistle to the Hebrews (11:33-39). 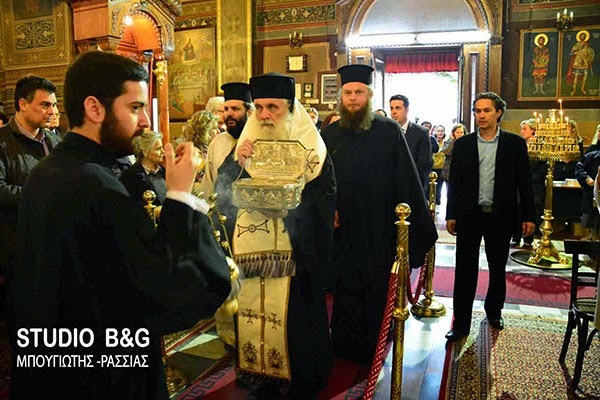 On Friday 7 March 2014, Argos welcomed the sacred relics of Saint Luke the Physician and Bishop of Simferopol, which was hosted for veneration as a blessing to the faithful in the Cathedral of Saint Peter, on Friday 7 March 2014. 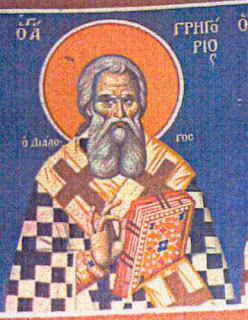 Saint Theophylaktos came from areas of the East and lived in the eighth century. 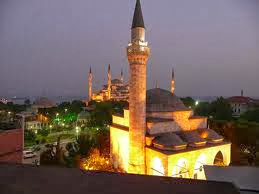 His great education brought him to the Queen City, Constantinople. Then he went to an area of the Black Sea, where he became a monk and then Bishop of Nicomedia. He was distinguished for his zeal and works of love and philanthropy. 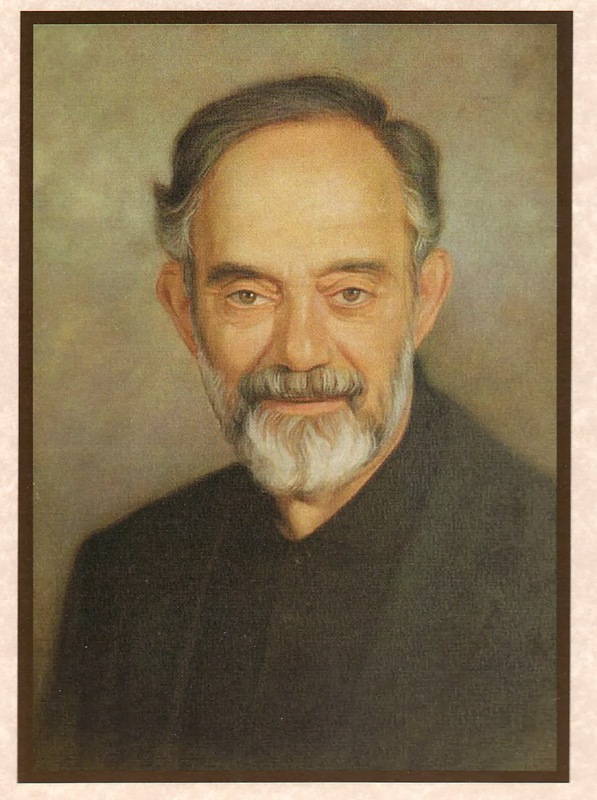 He founded hospitals and created charity funds, serving others in every which way. 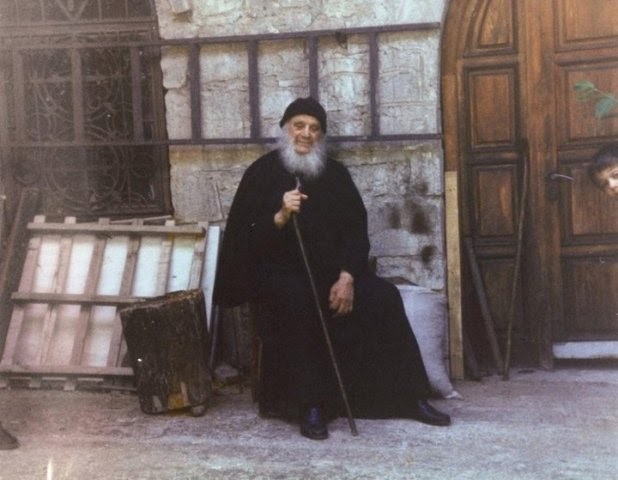 Often he would visit the huts of the poor families and apart from financial assistance he offered words of consolation, and when needed he ministered with a helping hand. Some sick he took care of himself, like Basil the Great, who personally took care of lepers and even kissed their wounds.